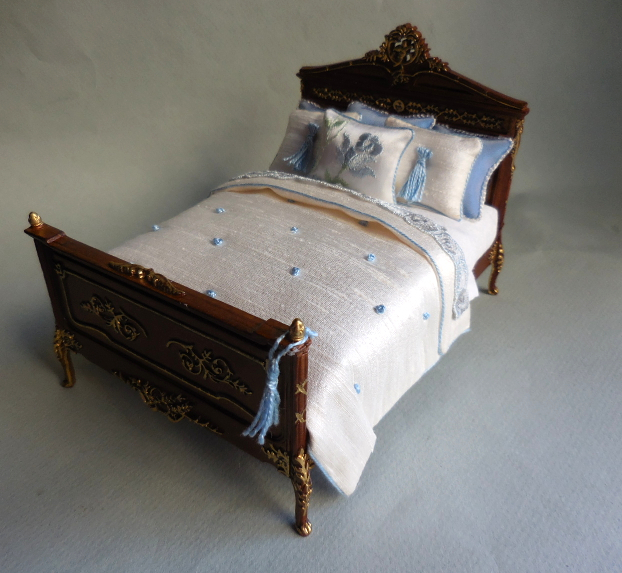 Beautifully carved Bespaq bed with a white silk quilt with blue French knots and trim. Many matching silk pillows complete this bed. The price is for dressing the bed only. This dressing would look great on many different beds.